Sail into battle, and around the world, in both War and Peace, with the Royal Australian Navy, from its early Australian Colonial beginnings to our first actions. The Boxer Rebellion, World War One & The Gallipoli Campaign, World Was Two, Malayan Emergency, Korean War, Confrontation in Indonesia, Vietnam War. Many of these conflicts which Australia particpated in saw the RAN 'the first in', and sometimes, the last out. Heroic and famous Ships, Officers and Sailors. Veterans personal accounts of famous battles and survival. Read an abundance of Australian and British Commonwealth Naval history, including the secrets of the ancient Crossing The Line (aka Equator) Ceremony, The Navy Rum Ration, Origins of the Navy, Pussers and its meaning, 'Jack Speak', Naval Jargon, customs, nicknames and terminology, tradition, What is a Badgeman? A Matelot?, 'Pussers Bones', or Mah Jongg, 'Uckers' or Ludo including rules, techniques and scoring. Naval Law, Discipline, Punishment and training. 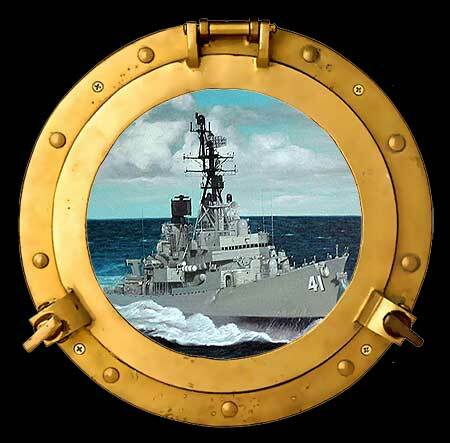 View items of Naval Memorabilia - ID Cards, Short Leave Cards. Leave Passes. PP1 Reporting, The Pussers Drivers License. Take a nostalgic tour 'Up Top' with Australian Matelots ashore at sea and ashore on the Far East Station. Data, Stats, Histories and Galleries of warships, submarines, naval aircraft, diving, including ship crew lists and pictorial histories or visit the armoury to see weapons thge RAN has used. Navy Ranks, Commissioned Officers and Non Commissioned Officers, Naval Rates and Categories. Links to Navy Recruiting and assistance with job descriptions. Spin Me A Dit' - Amusing navy anecdotes of life in a blue suit. Navy and nautical traditions, customs, phrases, songs, tunes, sea shanties, dits and Sea Stories. Photo and Multimedia Galleries of RAN Warships, Aircraft, Submarines, Establishments, both past and present. Sailors at work and at play. Weapons, Movies, Songs and much, much more. View nominal lists of ship's crews and honour rolls. 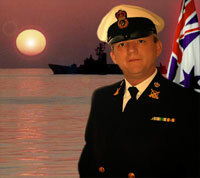 Streaming Video Clips from famous navy movies and Australian Navy PR and Recruiting Campaigns of the past. Watch and play with interactive shockwave flash movies. Play the Bosun's Call, (or Pipe). Ring the Ships Bell. You will find this web site sometimes humourous and sometimes tragically sad, but I hope, always entertaining.